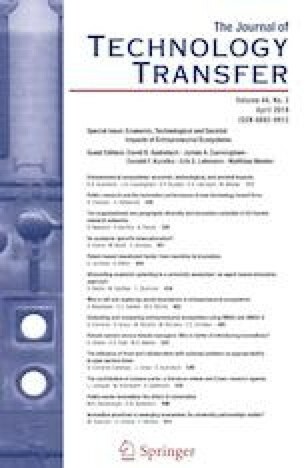 In this article, we explore the effectiveness of government intervention, R&D, and pro-innovation mechanisms in the likelihood of being an innovative entrepreneur with high ambitions of growing, in the particular context of Latin America and the Caribbean. We use a longitudinal approach, with a multilevel mixed-effects logistic regression procedure. The data comes mainly from the Global Entrepreneurship Monitor and the Global Competitiveness Index. The sample covers 14 countries from Latin America and the Caribbean between 2006 and 2015. The results provide empirical insights about firm and individual characteristics that explain the likelihood of being an innovative and ambitious entrepreneur. We also find that effective and narrowed policies in addition to an innovation-driven environment, also increases innovative-ambitious entrepreneurs. The paper includes implications for policy makers that want to enhance local entrepreneurial framework conditions. Lederman, D., Messina, J., Pienknagura, S., & Rigolini, J. (2014). Latin American entrepreneurs: Many firms but little innovation. World Bank Latin American and Caribbean studies. Washington, DC: World Bank Group. Retrieved May 3, 2018 from http://documents.worldbank.org/curated/en/800041468015024160/Latin-American-entrepreneurs-many-firms-but-little-innovation. Stephan, U., Hart, M., and Drews, C.C. (2015a). Understanding motivations for entrepreneurship: a review of recent research evidence. Enterprise Research Centre and Aston Business School. Aston University, Birmingham. http://eprints.aston.ac.uk/25172/1/Understanding_motivations_for_entrepreneurship.pdf. Accessed April 21, 2017.